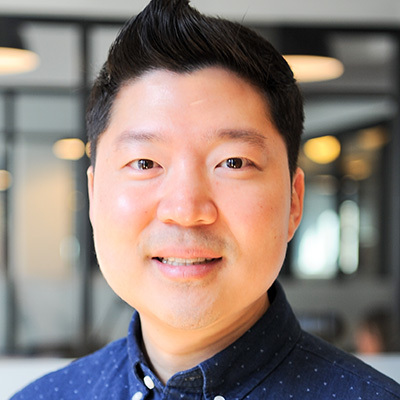 Dave Cho is Co-Founder & CEO of Soko Glam, the most trusted community and lifestyle brand with the best selection of Korean beauty products and content. Started 4 years ago and co-led by Charlotte Cho, the chief curator and board certified esthetician, and Dave Cho, who's a military veteran with over a decade building and leading teams, Soko Glam is now the leading destination for all things K-Beauty. Soko Glam has been featured in publications such as The New York Times, Elle, Allure, Glamour, Bloomberg, CNN Money, The Wall Street Journal, Into the Gloss, Teen Vogue and more, helping women adapt the Korean “skin first” philosophy to their own daily routines. Before starting Soko Glam, David spent over eight years on active duty in the U.S. Army, serving all around the world, to include a deployment to the Middle East. He was a combat arms officer and most notable served as a light infantry company commander, leading over 120 infantrymen with a wartime mission. He’s a graduate of the Airborne and Air Assault school and earned his Combat Action Badge for his actions under combat in Iraq. In addition to managing Soko Glam, David spends his time mentoring and assisting other young entrepreneurs and military veterans who are looking to transition out of the service. David received a Master’s in Business Administration from Columbia Business School and a Bachelor of Science from the United States Military Academy at West Point. David is a graduate of the Columbia Business School Greenhouse Program, TechStars Patriot Bootcamp, and selected as a 2015 Lang Fund venture.